Is ESKOM’s application for a huge increase of 19.9% to direct customers and a 27.3% for bulk buying municipalities an admission that it is battling to adapt to the impacts of the Renewable Energy (RE) transition? ESKOM’s motivation for the increases is the under recovery of costs. However, frequent above CPI increases in the price of electricity is not a sustainable solution. High electricity charges fuel growing consumer efficiency and a shift to independent generation resulting in a further reduction in sales. At the heart of the under recovery are reduced electricity sales, partially as a result of a slowdown in the economy. Equally significant is ESKOM’s ongoing commitment to large capital intensive coal and new nuclear energy generation. On top of issues inherent in an energy transition, are allegations of financial mismanagement and corruption within ESKOM which appear to be exacerbating its revenue problems. Poor debt collection from some local authorities and government institutions has also resulted in large debts. “Money owed to Eskom climbed from around R1.2 billion in 2012, to R11.3 billion in 2016.” (https://businesstech.co.za/news/energy/186027/the-one-graph-that-shows-how-big-eskoms-financial-problems-are/) The extent to which the cases of bad debt are the result of political pressure, bad financial management and / or the pricing and affordability model needs to be identified and urgently addressed. Recovering the cost of supply is often a political issue as social development priorities encourage below cost of supply charges to vulnerable communities and to selected industries to encourage job creation. This raises the question of whether it should be the role of the utility or the government to provide these subsidies! Treasury provides funds to subsidize a `Lifeline’ amount of Free Basic Electricity (FBE) to poorer households to meet basic health, education and security needs. Many local authorities pick up the tab for the shortfall between the FBE funds and the needs of their communities and pass this on to other electricity consumers through higher tariffs. HIGH cross- subsidies are not sustainable and bite back. Firstly, a high energy cost increases the cost of products to consumers or production moves to places with lower energy inputs. Secondly the independence provided by the increasing affordability of RE is enabling electricity consumers across the range from affluent households to commercial and industrial enterprises to become consumer – producers or to go off grid. This results in less sales revenue to local authorities and less revenue to ESKOM to pay off its large capital intensive power plants. Historically, revenue accruing to local authorities from selling on electricity at a higher rate than the purchase price from ESKOM was used to pay for non- income generating services such as libraries, parks, metro police etc. As the factors already discussed erode the income from the sale of electricity so a number of municipalities are trying to compensate by introducing, or increasing, a fixed monthly `rental’ for electricity services. But, fixed and especially high service fees are resented by consumers, especially those, who have invested in efficiency measures and PV. Fixed service charges are an added incentive for those who can to disconnect from the grid. However, the same RE technologies which are disrupting municipal funding models can be used to provide additional services. This makes paying the service fees more attractive. For example a free Wi-Fi service is being considered by some local authorities as part of their service offering. In the future battery storage nodes managed by the local authority are likely to provide a cheaper service than individual households with PV each managing their own energy storage. Possibly one of the biggest challenges in transitioning from fuel based generation to RE is the shift from the constant supply of coal power stations to the variable supply associated with RE. Solar PV is an obvious example of cheap electricity during the day which requires expensive back-up at night. Good news from a resent analysis of RE generation from REDIS #4 shows that wind power generation peaks to overlap with the evening consumption peak. That said, an increasing reliance on RE will require ways to manage consumption to map with generation- and there are a number. One approach, especially until battery storage becomes more affordable and smart grids replace traditional ones, is to introduce Time of Use tariffs. 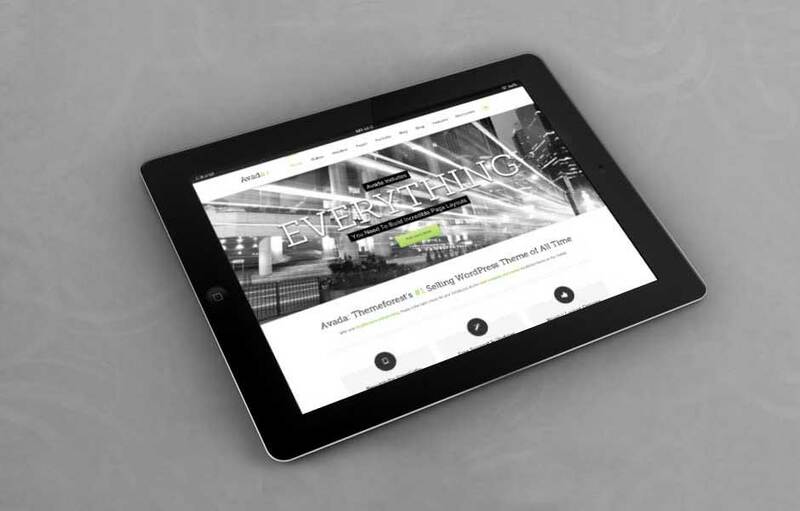 The concept of shifting times of consumption to align with times of generation is new to the residential sector. If it can be implemented, it will make the cost of generation more affordable. Using Time of Use tariffs (TOU) as an incentive to shift discretionary demand is well known in the industrial sector where cheaper tariffs were offered to industries that used power in off peak times. In the residential sector the most expensive electricity is the supply delivered in the early morning and evening peaks. Educating millions of individual households to shift their discretionary consumption to match RE generation and to reduce the need for back-up generation is likely to be challenging. It will involve more complex tariffs and significant consumer education. ESKOM is piloting a way with its new TOU tariff called Homeflexs to be implemented on a voluntary basis to 10 000 surburban residential customers in selected areas, together with AMI smart metering technology. City Power in Johannesburg is piloting load shifting to reduce demand peaks with the installation of over 80 000 domestic smart meters with an ‘Internet of Things’ capability. When the system is under pressure, customers get an SMS requesting them to reduce demand by switching off appliances such as the geyser, oven, pool pump etc. This they can do via their cellphones even when they are not at home. If they do not comply their power will be cut until the supply is stable. 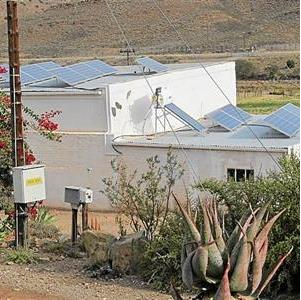 So while more affluent consumers can afford a suit of RE generation technologies and even disconnecting from ESKOM and Municipal electricity distributors, what about economically vulnerable and rural communities? Access to affordable reliable energy has undisputed social and economic benefits. How to provide affordable reliable energy is the question. There is a growing understanding that rural communities would be better served with solar water systems and mini – grids fed from a range of local RE generation options. Even in un-serviced urban areas, micro grids that supply electricity for home and security lighting, USB charging and power for radio and TV is increasingly being seen as an affordable solution. 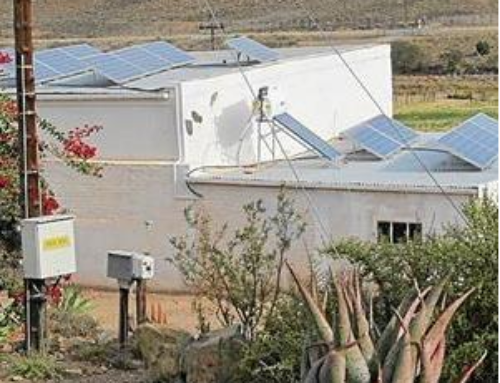 Two private models, the Ishack solar home system and Zonke Energy micro grid project, demonstrate that clients are willing to pay for an electricity service that serves their needs and is affordable. Agreements between these private service providers and the authorities led to the customers benefiting from the Free Basic Electricity subsidy to contribute to their monthly electricity payments. This ensures the incremental repayment of the capital investment. As RE technology proves itself so investment houses see the benefit of long term loans for the capital investment. As there is no energy charge from the sun and wind, monthly payments to refund the capital can be pre-arranged and based on the cost of a loan. Consumers paying off a RE system, whether as individuals or communities know what the future costs will be and are spared the current above inflation annual tariff hikes. While ESKOM is challenged with management issues and a historical predisposition for centralized capital intensive energy generation, RE and an enabling suit of smart technologies is ushering in an era of increasing energy independence. The real challenge is to shift mind sets, free up energy generation from vested interests and ensure that all South African’s have access to an affordable and reliable energy supply. We have some of the best solar resources in the world as well as regionally excellent wind power opportunities. A well managed transition to RE offers the opportunity to genuinely empower people.